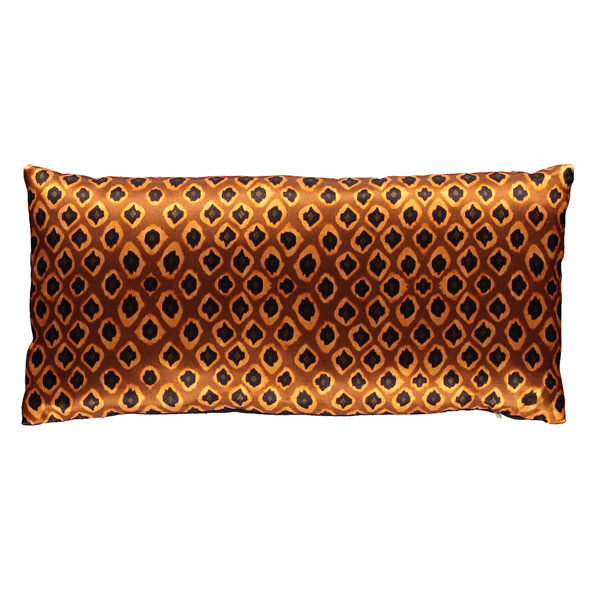 Luxury pillow featuring the Micro Ikat Ocre print hand designed by Mariska Meijers. The front panel of the pillow is a digital printed 100% silk. The back panel is 100% linen. 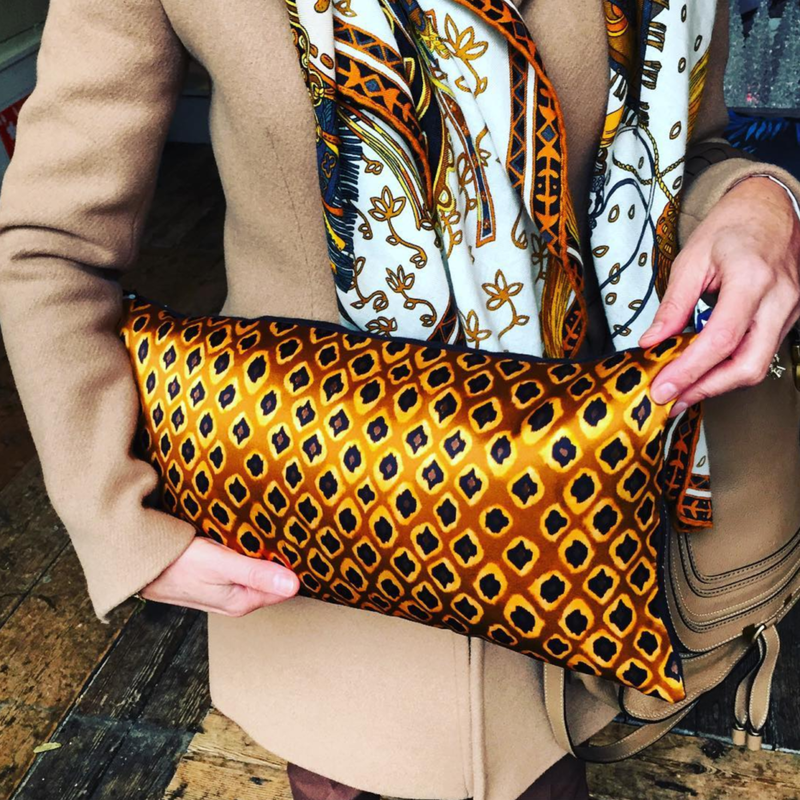 The Micro Ikat Ocre pattern is available across our interior collections.